For many chiropractors, negotiating a good lease or lease renewal with an experienced agent or landlord can be quite a challenge. While a chiropractor thinks of providing proper patient care, savvy real estate agents and brokers are specialized sales people whose minds may be bent toward less altruistic pursuits. Their job is selling chiropractic tenants on leasing their location at the highest possible rental rate. Chiropractic tenants may go through the leasing process once or twice in their entire lifetime—yet they may be pitted against seasoned professionals who negotiate leases every day for a living. 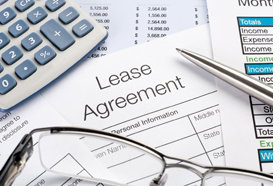 All too frequently, chiropractic tenants enter into lease negotiations unprepared. If you aren’t negotiating to win, you can be assured you won’t. On the other hand, with big commissions at stake, you can be sure the landlord’s agent is negotiating fiercely to win. Chiropractic tenants should remember that it’s okay to negotiate aggressively. Try to set aside your emotions and make objective decisions. Whoever most needs to make a lease deal will give up the most concessions. A good practice in a poor location will become a poor business. Gathering information about what other tenants are paying for rent or what incentives they received will position you to get a better deal. Ask the right questions. Keep in mind that your landlord and his agent know what every other tenant in the property is paying in rent, so you must do your homework, too. BROKERS … FRIEND OR FOE? Real estate agents and brokers typically work for the landlord who is paying their commission. It isn’t normally the agent’s role to get the chiropractic tenant the best deal—it’s their job to get landlords the highest rent and the biggest deposit. The higher the rent you pay, the more commission the agent earns. If you’re researching multiple properties, try to deal directly with the listing agent for each property, rather than letting one agent show you around or show you another agent’s listing. Your tenancy is more desirable to the listing agent if he can avoid commission-splitting with other agents. Even if the first offer seems reasonable, or you have no idea of what to negotiate for, never accept the leasing agent’s first offer. In the real estate industry, most things are negotiable and the landlord fully expects you to counter-offer. If you want three months of free rent, then ask for five months. No one ever gets more than what they ask for. Be prepared for the landlord to counter-offer and negotiate with you as well. Don’t be afraid of hearing “no” from the landlord—counter-offers are all part of the game. Large deposits are not legally required in a real estate lease agreement for a chiropractic tenant. Deposits are negotiable and, more so than anything else, often serve to compensate the landlord for the real estate commissions he’ll be paying out to the realtor. If you’re negotiating a lease renewal and your landlord is already holding a deposit of yours, negotiate to get that deposit back. Chiropractic tenants frequently pay for phantom space. Most chiropractic tenants are paying their rent per square foot, but often they aren’t receiving as much space as the lease agreement says. While a five-year lease term (or even 10 years for health care professionals) is still standard, it isn’t necessarily the best term for your practice. Three years for some tenants may be better if the cost of leasehold improvements is low enough, since these are generally amortized over the life of a lease term. Motivated by a greater commission, the realtor will want you to take the longest lease term possible, but the landlord may be flexible. Take the term that is best for your practice. The leasing process is just that—a process, not an event. The more time you have to put the deal together and make counter-offers, the better your chance of getting what you really want. Too often, chiropractic tenants mistakenly try to hammer out the deal in a two- or three-hour marathon session. It’s more productive to negotiate in stages over time. Unless you have money to throw away, it invariably pays to educate yourself. Taking the time to read about the subject or listen in on a leasing webinar will make a difference. And don’t forget to have your lease documents professionally reviewed before you sign them. With hundreds of thousands of dollars in rent at stake along with personal guarantees and other risks, you can’t afford to gamble. In leasing, chiropractic tenants don’t get what they deserve—they get what they negotiate. Dale Willerton is The Lease Coach, a Senior Lease Consultant and author of “Negotiate Your Chiropractic Office Lease or Renewal.” Contact Willerton by email at DaleWillerton@TheLeaseCoach.com or visit TheLeaseCoach.com/HelpULeaseChiro.com.